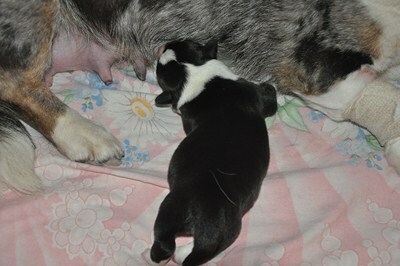 19 of April our Aniołek became mother.We have only one but.....so beautifull puppy-tricolor brindle boy. Anioł is so proud and so happy of her son-she is perfect mother. We are also so glad of him. We are so happy and so exciting of waiting for blue-merle and tricolor pupies. 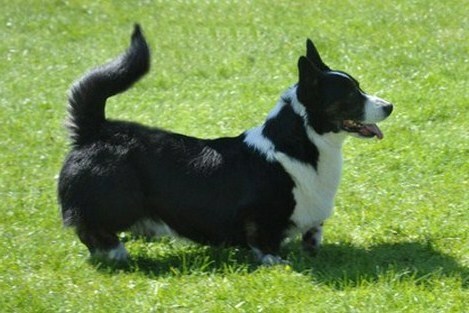 We would like to see pups with parents beautifull colors,with their the best details and sweet characters. 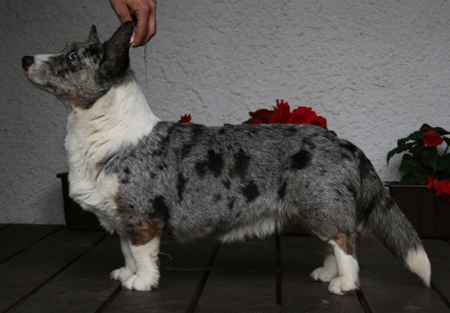 It will be the first litter of Gizmu(we hope he will be super stud dog).Aniołka was perfect mother in the past. We expect borning babies in THE END OF APRIL 2012!! !